Added on 22 February 2018 . By Leighanne Bent. Pizza, sweet darling pizza. You're my go to comfort food when I plaster my cheeks with a £1 face mask and have a lazy night in, my holy grail when I eat out at an authentic Italian and the one thing in my freezer that sobers me up after one (too many) G&Ts at my local. If pizza holds the same special place in your heart as it does mine, throw on a pair of stretchy pants that expand with your gut, and keep on reading. Made in Italy have changed their menu for the first time in 25 years, and it’s turned me into a proper fan girl. 25 years in business, and the folks behind Made in Italy saw it time to give their Chelsea haunt some TLC through the beauty of redecoration. I’ll be honest and say I don’t know what the place looked like before the revamp, but I can tell you the end result gets two big thumbs up. Arriving 10 minutes late from some heavy downpour, the space that welcomed us was intimate and friendly. Split between two levels, we dined at a cosy table for two in the mezzanine area that had prime people watching advantages. 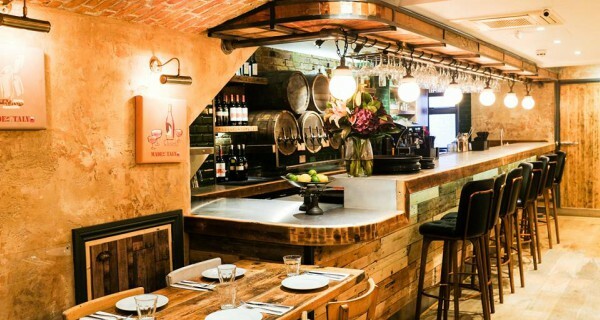 Across the two floors; white washed walls, exposed red brick work, dim lighting and the odd bunch of hanging garlic made the space feel like we’d found a little slice of Italy in the heart of Chelsea. With a fully stocked cocktail bar upstairs serving cocktails on tap and buzzing chatter coming from all corners of the restaurant, this place proved itself as a great spot to catch-up. Made in Italy now bares simple interiors with an authentic, Italian edge. The moment our waitress said ‘deep-fried’, all that calorie counting nonsense went out the window and I was sold on ordering the burrata atomica £8.90. Coming served in safe haven of golden pizza dough, the Italian buffalo milk cheese oozed from the centre straight into a pool of tomato sauce. Topped with Parmesan shavings and pesto, all ingredients worked together seamlessly until my last forkful. My company ordered the aubergines parmigiana - that I had a forkful of, and can happily confirm that it was every bit as comforting. Bringing me back to my pizza-glorifying intro, Made in Italy have decided to make their pizza offering more accessible to all diets and intolerances with their three-step menu. First, you pick your flower (I picked the multigrain that’s said to be packed with nutrients), then you choose your mozzarella. Going for their homemade option that’s curated at an award-winning cheese makers in Battersea, you can also opt for vegan cheese or burrata. Then, you’re left to choose your toppings. Quattro Formaggi promised a bubbling and naughty fivesome of gorgonzola, mozzarella, parmesan cheese, smoked mozzarella and ricotta, making it a no-brainer. Slow fermented for 48 hours beforehand using the finest Italian flours, you could taste the difference in quality all the way from the traditional base to the puffed crust. Agreeing to go halves (like all good friends do), we divided our plates of pizza with a helping of homemade pasta. Bearing no title per se, we twirled our forks with pasta that was brought alive with truffle oil, pappardelle mushrooms and Italian sausage. Checking in to see if my stretchy pants were doing the job they were assigned, I managed to order the Oreo cheesecake afterwards, and what a cheesecake it was. Silky but slightly dense, it defeated me in the end, but I'd happily take on the challenge of attempting to finish it again. 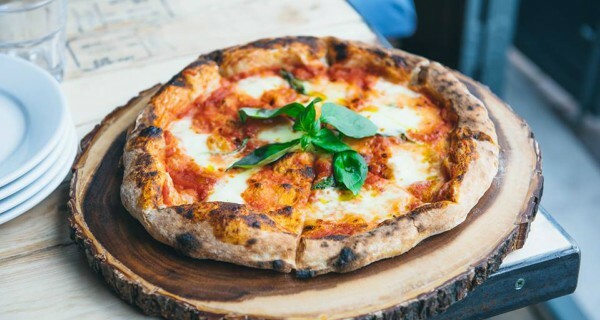 From the base to the crust, Made in Italy's pizza is a firm favourite amongst the locals. When it comes to pizza, Made in Italy go the extra mile. They use the finest Italian flours in their dough and to literally top them off, they use an award-winning cheese from Battersea. With the new changes to both interiors and menu playing to their advantage, here's to seeing it thrive for another 25 years along King's Road.